Climb aboard the S.S. Woodland Creek, cast your net and haul home some fine nautical hardware! Ahoy, matey! We’ve always wanted to say that. 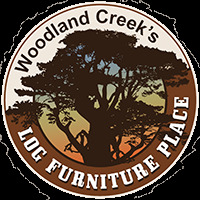 “Welcome” to Woodland Creek’s wide world of nautical cabinet hardware, where lovers of reclaimed wood furniture, country furniture and cabin decor come to find ways to express their love of rivers, creeks, oceans and streams. From canoe and canoe paddle drawer pulls to sailboat-themed knobs, get everything you want and need at Woodland Creek’s. 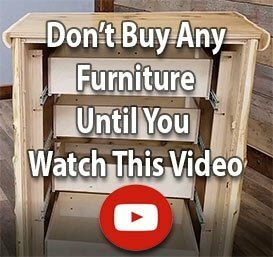 Are you the proud owner of a home, cabin, cottage or lodge in need of a barnwood furniture facelift? A western furniture festooned pad situated on or near a waterway? One way to quickly revive the look of your lakeside cabin or riverfront log furniture refuge is by switching out worn cabinet hardware for something as cool and inviting as a tall drink of – you guessed it – water! Are you a landlubber? We’ve got country decor nautical pulls and knobs for you, too! So, you’re a stranger to life at sea. You couldn’t tie a rope knot if your life depended on it. That shouldn’t keep you from enjoying rustic decorating with nautical accessories! After all, the ocean is teeming with inspiration. Earn your country decorating sea legs while browsing Woodland Creek’s rustic decor cabinet hardware for options shaped like dolphins, mermaids, sand dollars and seahorses.